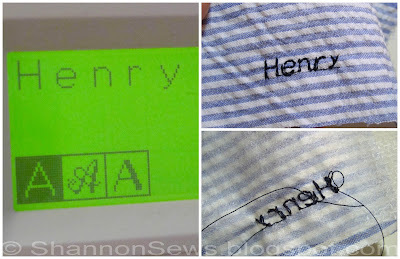 When I decided to make a personalized baby bib for my new nephew Henry, I wanted to try something different. I had never done an applique and thought it would be a fun new technique to try. I "just knew" I had all the right materials to get started. What I had was Fusible Interfacing. What I needed was Fusible Web. HOWEVER, NEVER FEAR! 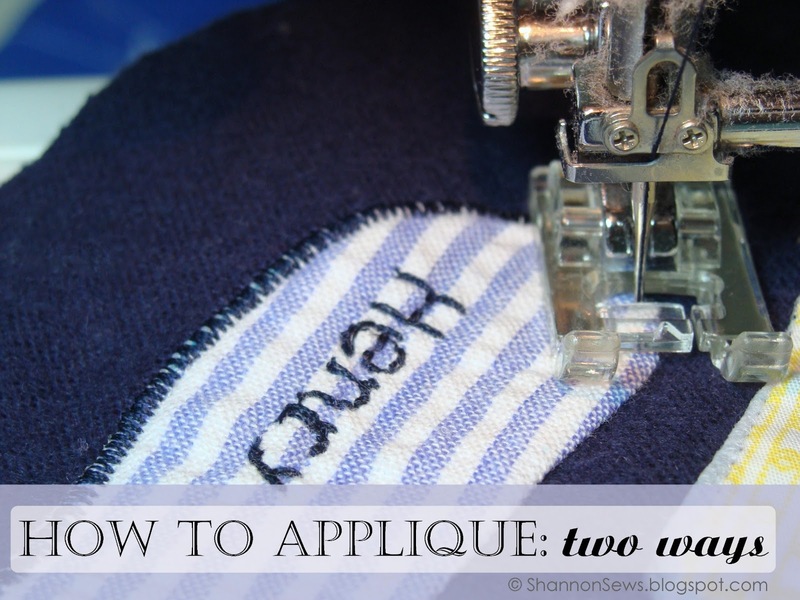 It turns out there are actually 2 ways to do applique. Hallelujah! I don't have to go back to the store! 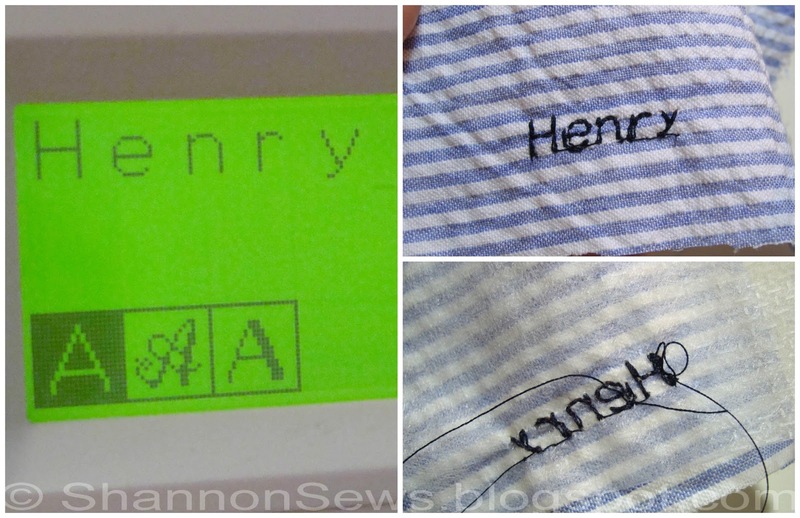 The most traditional method of applique seems to be the iron-on method. I'm sure you've seen it a million times. A cute little applique, ironed down flat, with zig zag stitches around it to secure it in place. This method produces an applique with a stiffer feel than method 2. 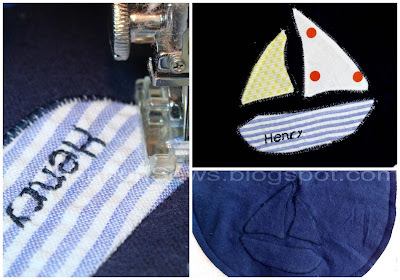 Here are a couple tutorials if this is your preferred method: How To Applique; & Applique Tutorial. It turns out, I prefer this method for applique because it produces a softer feel than the regular iron-on applique. Before I began with the applique, I added his name to the sailboat using my sewing machine's embroidery tool. I attached cut-away stabilizer to the back of the fabric to give it some stability, selected the letters, and let my machine do the rest. And now it's just for him. Oh sweet Henry-boy! 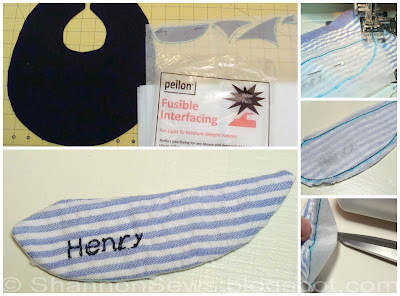 Fusible Interfacing has two sides, a smooth side and a dotted side (glue dots). As seen (left - top right photo), after tracing your shape on the smooth side of the interfacing, lay the dotted side facing the right side of your fabric and stitch directly on your line. 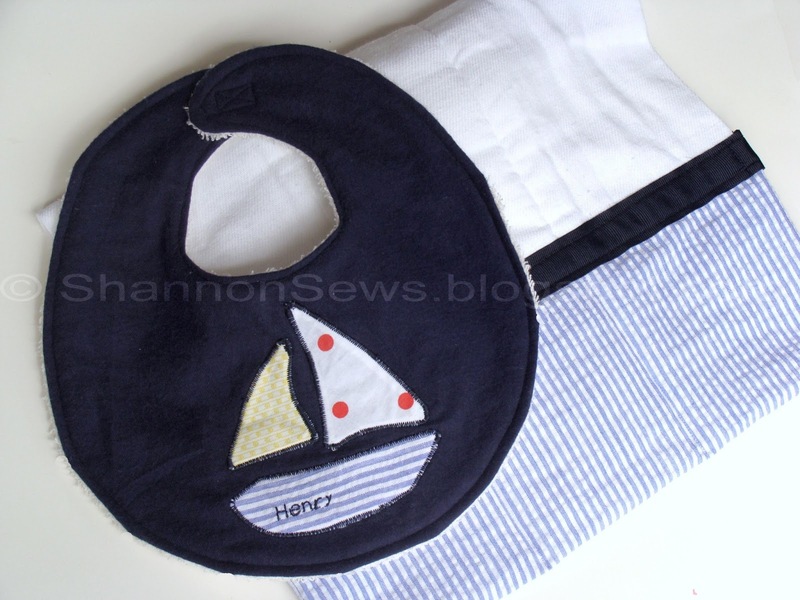 Cut away excess fabric and interfacing around your shape. Next, cut a small slit in the interfacing so you can turn it right-side out. Be sure not to cut through your fabric. Once right side out, your shape will be ready to iron-on to your project. Lay your applique pieces in place and iron them down using a damp cloth (follow the instructions on the fusible interfacing package). In this image all my applique pieces have been ironed in place. Unlike Method 1, the applique fabric is not actually glued to anything. It is held in place from the backing, which has been glued down to the bib. To secure the edges, zig zag stitch all the way around each piece. Test your machine and decide on which length and width you prefer. The zig zag should just catch the outer edge. The applique didn't turn out perfectly, it was my first time and all, but I didn't think Henry would mind. 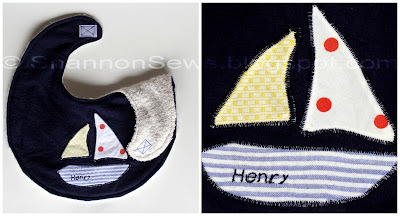 J I attached the dark blue sail boat bib (a.k.a. 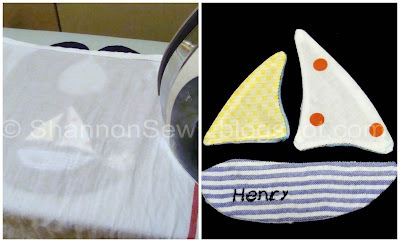 the S.S. Henry) to a soft creamy terrycloth. I added a piece of matching light blue and white striped seer sucker fabric, with navy ribbon, to a heavy cloth diaper for a coordinating burp cloth. My sister-in-law said how much she loved it and that it was just Henry's style. Thanks for the additional tip. I was planning to do some applique, and by golly I think I have fusible interface too. 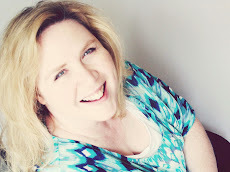 FYI, I found your link on the Sew Many Ways linkup. Glad I'm not the only one doing applique with fusible interfacing! :) Luckily it works like a charm! Thanks for your comment.